HammerHead® Piercing Tools come in 24 models to fit any condition you are working in, more than any other manufacturer offers. Don’t settle for imitations. The original and field tested product line-up provides easy field maintenance, longer warranties and lower total cost of ownership. 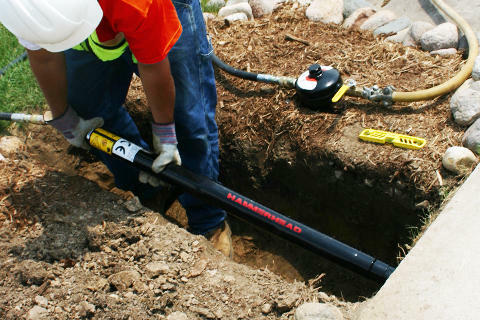 The patented Catamount tool comes with an industry leading 2 year warranty. No mechanical spring to wear out or replace. Springs are a major source of failure in competitive reciprocating head designs. No springs in Catamount. The patented quarter turn reverse design pneumatically locks into forward and reverse preventing accidental direction change during the bore.